SEO stands for “Search Engine Optimization.” SEO is the process of getting traffic from the organic or free search results on search engines like Google and Bing. When you hire Woktron, you’re partnering with an experienced team as an extension of your own business to implement techniques on and off your website to help you rank higher in search results. While Woktron might look like the last agency you hired, when you glance under our hood you’ll see the reasons for selecting us to provide you assistance. We use data and only data to drive the campaign strategy. No guessing games. Every activity is tracked and available for you to access, 24 hours a day. We use only one success metric – ROI. We track conversions so you know Woktron is creating value. 24/7 access to our online client panel, offering easy to use visual task boards that will let you know where we are at any given point in our engagement. SEO professionals who are available to respond to any questions or discussions you would like to have. It is our job to make a technical, complicated, and sometimes overwhelming internet marketing process as simple as possible for our clients. One of the many ways we accomplish this is by providing each of our SEO clients with a single point of contact to manage your project and your questions. You will get to know your Woktron SEO Professional well and they will get to know your business and understand your unique needs. 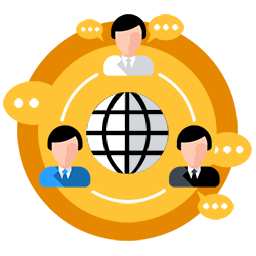 We will become your outsourced online marketing department. At Woktron, we are building a culture of extreme customer focus. We believe in the importance of understanding strategic goals and in owning the voice of our clients and we work hard to show it. We take the unknown out of SEO with a transparent methodology that effectively improves your rankings and you will know what we’re doing and why we’re doing it every step of the way. Plus, you will receive monthly reports for a fully transparent experience. One of the most direct monetization and intent-bases for SEO is driving relevant traffic to an e-commerce shop to boost sales. Search traffic is among the best quality available on the web, primarily because a search user has expressed a specific goal through their query, and when this matches, conversion rates are often extremely high. Keyword Targeting – Pay-per-click is an excellent way to test the efficacy and potential ROI of keyword targets. We find those that we feel have reasonable traffic and convert well. You’ll often find that the more specific the query – brand inclusive, product inclusive, etc. – the more likely the visitors are to make the purchase. Page and Content Creation/Optimization – We will need serious link building along with internal optimization to achieve high rankings for competitive, high-value keywords that bring in conversion-focused traffic. Manual link building is an option we will invest time in, but scalable strategies that leverage a community of guests can be equally or even more valuable. Although less direct than an e-commerce sale, lead acquisition via the web is an equally valuable and important system for building customers and revenue. Millions of search queries have commercial intents that can’t be (or currently aren’t) fulfilled directly online. These can include searches by for example unexpected potential guests searching for common queries such as “nudist campsites in france” “campsite in area”, “best place to sleep in Lot-et-Garonne or Dordogne”. We carefully pick phrases that convert well, have reasonable traffic and have previously performed in campaigns. SEO’s primary purpose is generating organic search engine traffic that converts into sales and leads, but the reality is that a focused branding strategy will improve your brand image but will also reinforce your marketing efforts. When your brand is trusted, your site will be. In the online realm, this can happen through strategic link building. As you build links, you’re getting the intellect and message of your brand in front of large audiences. Bloggers, social media websites, content producers, news outlets and dozens of other web publishing archetypes have found tremendous value in appearing atop search results and using the resulting exposure to bolster their brand recognition and authority. How SEO Attracts the Right Audience ? An SEO web design is built with the target customer in mind. Every image, design element and piece of content is built to appeal to and draw in this kind of traffic. Networking with other high authority industry, news websites. We begin with a list of target keywords and determine which ones make the most sense based on competition and search volume. Next, we’ll tap into link building opportunities, write SEO-friendly content and work hard to bring more traffic and more qualified leads to your door—or website. At their core, keywords are the single most important component of a successful SEO campaign. Keywords refer to the words typed into a search box – be it on Google, Bing, or Yahoo. However, there is much more to keywords than just that. The keywords typed into a search box reveal certain details about customers and how they go about searching for things. Knowing this, it’s important to target keywords that mimic your customer’s minds and keyword search tendencies. By targeting the motivations of customers and where they are in their buyer’s journey, keyword research can be a bridge between a company and their potential customers. Another aspect behind keyword research is targeting keywords that are related to more general keywords known as long tail keywords. While long tail keywords get searched less than parent terms, they actually make up a majority of searches conducted every day. This makes targeting long tail keywords an incredibly effective way to gain traffic. We will extensively review your current website, it’s current ranking, crawl rate and the keywords your website is currently ranking for. We take your keyword wishlist and conduct additional keyword research to build a list that makes the most sense for your website and the competitive landscape. It is always important to have a webpage which is web friendly and is easily accessible. We take a thorough look “under the hood” to assess your current website. In order to appeal to your audience, you need to know them and their demographics. Who are the people that search for the terms we want to be found for? Where do they come from? How old are they? What are they interested in? And how will we be able to reach those people again and again? We will research your target audience and aggregate this data and then use specific search optimization tools to generate further keyword options that will be used to write engaging content that is as relevant and useful as possible. 1. Your selling points – What makes your business special ? What is it that you offer your guests ? Our competitive analysis utilises various tools and techniques to assess who your competitors are and what are they doing that you’re not. We will tailor our competitor research to your specific business model, industry sector and marketing objectives to ensure that our digital strategy is thoroughly informed, measured, and focused towards securing positive growth and brand exposure. The insights gained help us understand which tasks we should prioritize and it shapes the way we build out our campaigns. We see where our competitors are strongest and weakest and we can determine how difficult it will be to outperform them. At Woktron, we have made major changes to our SEO content marketing post Google Hummingbird Update. We periodically check the performance of existing backlinks and outdated backlinks will be redirected to the correct page. it’s never been more important to have a natural link profile. 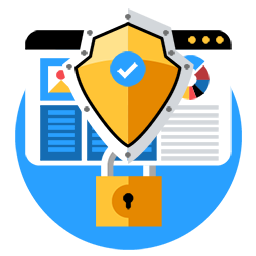 Our technical audit will check that search engine robots can successfully crawl and index different pages and existing meta data will be checked to confirm their relevance. Likewise, we attempt to target multiple keywords per page for existing content. We perform optimizations on your website’s back-end, such as improving pagespeed and sitemaps. By making these improvements and fixing any errors, it makes it easier on search engines when they crawl your website. And when you make search engines happy, your rankings can make you even happier! Our content strategies set us apart from other SEO companies, as we ensure that all content is of the highest quality. In addition, we have full translation abilities, allowing us to optimize your website in a specific language. We love to write. We compose content that invokes emotion & gets people talking about your brand, onsite or offsite. We also have access to a number of freelancers with various expertise in numerous sectors. We mentioned the importance of having consistent social profiles. Having another branded website or blog can increase your SEO rankings and further build your reputation. Infographics should only be created when they serve a purpose. Our team work to design & create stunning infographics that get shared across the web. We believe in investing in big content that pushes boundaries. Whether it’s interactive content, quizzes or games, our design & development team love to produce content that truly stands out from the crowd. This tells Google that the content on your website offers useful information, and when people follow external links to your content, search engines comprehend that visitors think highly of your site. An initial step in our Link Building process is to conduct a search engine result pages (SERPs) Analysis. During the analysis we will evaluate current page one results and identify opportunities for your website to rank for core keywords. We focus on generating valuable and share-worthy backlinks from authoritative sources, whether that’s articles, share-worthy blog posts, press releases or a refresh of a pre-existing service and product pages with additional content. However, one of the most successful means is through the creation of new content. As with all link development efforts, a ‘vote’ from a high quality publication that sits within relevant content will drive increased authority to each link destination page and, over time, will positively increase the rankings of those pages for their respective keyword targets. Social Media Marketing (SMM) is continually progressing and is now considered the second-most effective form of digital marketing, yet more than one-third of businesses have no social media presence. This is largely due to small businesses not having the time or resources to invest in social media marketing. However, search engines such as Google and Bing have started to integrate comments and Tweets into their results pages, recognizing the importance of social interaction. We maintain full transparency so you can see first-hand how our efforts are increasing your revenue. Let Woktron drive your social media efforts to help maximize followers, brand awareness and revenue. Pay-per-click (PPC) marketing is a type of online marketing done through platforms like Google Ads, Facebook, and Bing. You (the advertiser) will only pay for clicks, or when a user clicks through to your desired landing page. Comprehensive keyword research: We ensure you appear for the RIGHT searches by completing thorough keyword research up front, and monitoring your campaign’s performance closely. Effective ad creation: We work with you to produce effective ads that get high conversions. Landing pages: If required, we create landing pages on your site for visitors that have clicked through from your PPC ads. This allows us to create a page specifically designed to sell. Split testing and comparison of ads: We’ll set up comparisons to test the effectiveness of different ads. This will allow us to hone our content and presentation. 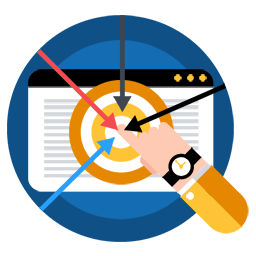 Remarketing campaigns: Reconnect to past site visitors that have shown interest in your product or service. This can help increase return on ad spend while increasing sales or leads. Detailed reporting: We generate customized PDF reports highlighting the most important information. To get the most out of your email marketing strategy, you have to build a strong campaign that ensures your subscribers get the right information at the right time. 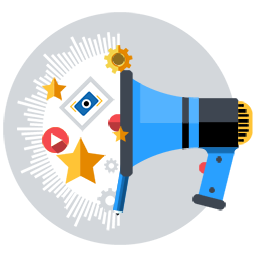 We’ll grow your subscriber lists, manage your campaigns, and ensure that your email content is top notch, so that it encourages users to visit your site and purchase your products and services. Our email marketing management services also include content creation and personalization and we know exactly how to boost your email conversion rate with stellar, modern E-Mail design work. And by using our engaging marketing and transactional e-mail management tool we can easily grow your lists, increase conversions, and optimise your audience engagement with beautiful e-mails and autoresponders, high-converting web forms, list segmentation, API access and unique delivery tools. Included for free! Reputation management uses SEO as a tool and is all about controlling what people see when they look for your business online. A positive online image is crucial for any business. Users search for the social media accounts of the brands they’re interested in. We ensure that your brand image gets carried over to your social media profiles. Content creation serves a dual purpose. Firstly, it allows brands to share news and connect with their users and secondly content is indexed and ranked easily by search engines. The better the platform, the higher it will rank in SERPS. 59% of online shoppers see online reviews as being as reliable as the recommendation of a friend. We stay on top of reviews and respond promptly and publicly. 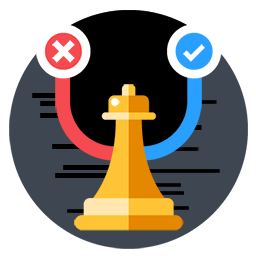 We often discover copied or manipulated content and unnatural links, we work with Google and various hosting companies to remove such content as it undesirable and hurts SEO rankings due to duplicate content issues. Conversion Optimization, also known as Conversion Rate Optimization (CRO), is all about maximizing the effectiveness of your website by turning your visitors into customers, maximizing your revenue and ROI. The goal of CRO is sometimes a conversion, but it can also be awareness, lead generation, or any other user-engagement goals for a page or an experience. You may know how you want people to interact with your brand, but need help getting them to do it. Other times, it’s about trying to decrease an undesirable behavior by site users. Turning passive visitors into leads or customers requires developing and testing hypotheses, running controlled tests, and evaluating results. But it also requires engagement of your visitors. Woktron’s conversion optimization service combines technical brawn and creativity to generate the best strategy for your website. If you’ve been struggling to turn traffic into leads, we will assess your user experience, and we will help to weed out problem areas and eliminate anything that might provide friction to your conversion goals and turn website visitors into actual paying customers. When partnering with (most) SEO companies, you’ll experience some degree of account management. Sadly, often times the account management provided is a spreadsheet full of numbers that are sent once a month to a customer’s inbox. This isn’t proper account management because a spreadsheet of numbers without explanation or context is simply a spreadsheet full of numbers. – A contextual understanding of notable goals that our efforts have reached by having a dedicated account manager (not a robot) talk them through it. – Providing clients with deliverables of all the content needed to be created to get their approval so clients know what’s going on and have a say in the process. – Insight and opportunity to see links built for clients. Ready to partner with Woktron? We’d love to discuss your SEO needs and get you a custom quote on a campaign that works for you. We also send you a free instant SEO Audit Report for your current website to get you started. Having served happy clients since 2010, we have a general idea of what most businesses are curious about in regards to search engine optimization. An important factor to keep in mind, however, is the difference between black hat SEO and white hat SEO techniques. With search engine optimization becoming more of a hot topic amongst entrepreneurs and CEOs alike, it’s crucial to first understand the difference between these two before considering an SEO agency or freelancer. This will be a great guide in understanding what search engine optimization is and its fundamentals, the two common questions in the realm of SEO.search engine optimization Black hat SEO are questionable methods that can significantly hurt your business visibility. It guarantees instantaneous financial rewards that can get you banned from a search engine. Companies or freelancers who guarantee these results are likely using black hat SEO techniques. As the purpose is to gain fast rewards, getting banned isn’t considered a problem for them. Therefore, black hat SEO techniques are a definite no on getting those long-term rewards. White hat SEO, on the other hand, are diligent techniques that abide by search engine rules. By following what search engines are looking for, you will naturally get higher ranking and reap in those long-term rewards your business should be looking for. Woktron is a proud white hat SEO company that uses effort to enhance your online visibility. The two key factors we pay attention to in search engine optimization is the initial keyword research and curating content. As such, we have compiled a brief educational article below on what these services are and its benefits which answer a lot of questions customers often have about our search engine optimization services. Who Can Benefit From SEO Services? Regardless of what industry you’re in, any business can benefit from SEO services. With so many people searching online nowadays, people are already considering or are ready to invest in your product or service. This gives your business a huge advantage. You simply need to know how to get your brand in front of them and past your competitors. Any business can begin engaging with a prospective audience on a social channel. SEO services can be thought of as a means of networking events in digital format. These benefits are a long-term result of current efforts. Whatever business you’re in, it will grow due to SEO services as everyone is now online. How Long Before I Can Get Better Exposure? Depending on the industry, the competitiveness of keywords, and geographic location, online exposure can be fast or slow. However, you can expect to see results within 90-120 days after we start implementing your SEO plan. Keep in mind that SEO services do not produce immediate results. Companies who advertise for immediate SEO results are those that raise a red flag. No, unlike other agencies, all of our work is completed in-house. You’ll first want to understand what your marketing goals are. Outline all of your goals and consider the competition in your particular industry. We can then help you ensure your marketing funds are utilized in the best way to achieve your marketing goals. No, we are different from most companies in terms of long-term contracts. We operate on a month-to-month basis where you are not locked into any long-term contracts. You can cancel at any time by written notice via email or letter.